Every dream, every aspiration will come much easier with a well-developed plan. We strongly recommend creating a Self-Development Plan for your growth. 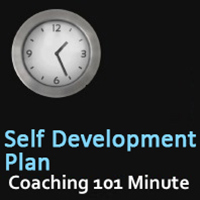 If you want to learn how to be a coach or how to further your coaching career, a Self-Development Plan will help make this a reality. 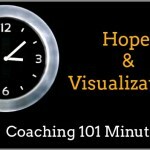 We have covered topics this month starting with Hope and Visualization – the power of hope and positivity. We also had a topic on developing tools, specifically looking at the Wheel of Life, allowing you to see where you can grow and where you’re strong. We learned that idea Creativity Can Be Learned and developed by looking at right brain versus left brain. And last week, focusing on The Values Game and your foundation, what you enjoy, and value in life. Taking all of these concepts it is now time to look at what is your plan of action, what is your goal, what is it that you want to do? Your plan should include information that you have gathered about yourself and the world around you. There are many forms or plans that you can take. It can include pictures, graphs, and be very elaborate. To keep it simple here is a ten-point Self-Development Plan. They’re broken up into two different sections. First five is the set-up and the last five is the follow-up. If you’re reading this post, you’re probably looking into coach training, wanting to become a coach. Example: You just heard about a new profession called coaching. It is to support people who want to change lives, and also coaches change their own lives too. What did you think of when you heard this new information? Example: The possibility could be … coaching will add value to my current skills set and I could actually offer my services to clients. Example: The goal in this case could be to become a coach. Example: I want to become a coach so what do you do? Enroll in a coach training course. Example: When is it that you’re going to enroll in this coach training program? Within the next 48 hours, within the next month, within the next year? What is the outcome of the time frame? Example: It could be that you enrolled by the time that you set. You enrolled in a week, you enrolled in a month in a coach training program. What do you feel by going through this outcome? Example: In this case, feeling really great. I am moving forward and loving learning. What did you learn from that reaction? Example: You’ve learned about powerful listening, self-directed learning and you have coached for 20 hours. Example: I am not as stressed as I used to be about attending class or about coaching. It comes more naturally. Your behavior is different. Example: I have increased revenue by 15% since I added coaching to my services in work and my relationships are stronger and more trusting. If you are interested in learning more about this specific Self-Development Plan, I really encourage you to look into the work of Kirkpatrick. This is Kirkpatrick’s model that we are following here for our plan of action. Reply in the comments of this post with your Self-Development Plan. Maybe you just want to start with the first five, the Set-Up. We would love to share the energy and to see you develop yourself into something new and beautiful. If you have not had a chance yet to attend one of free Coaching 101 teleclasses, I really encourage you to register below. It is a chance to sample what our class feel is like with real students as well as people like you, who are learning more about coaching. All of our trainers are open and friendly and love meeting new people on the calls. So, come along, join in. Add Coaching 101 to your Self-Development Plan.